Saturday 2nd November when an evening service will operate for the annual "Fireworks and Bonfire" event. 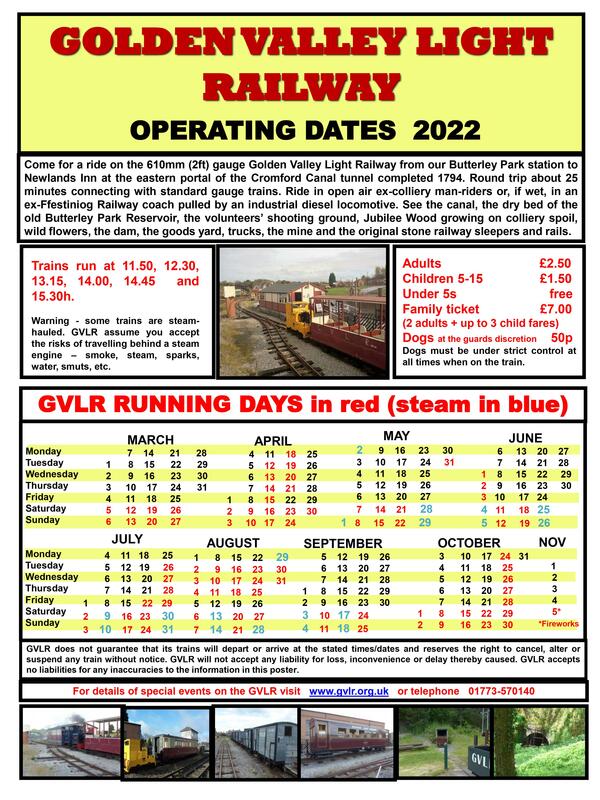 The Midland Railway - Butterley runs a large number of special events during the year, for more information see the The Midland Railway - Butterley Homepage. In addition to operating trains, volunteers are hard at work in the New Running Shed, maintaining and restoring our rolling stock. If you are passing, why not call in to the Running Shed, and see what activities we are up to. We will be pleased to explain our future plans, for our historic rolling stock.